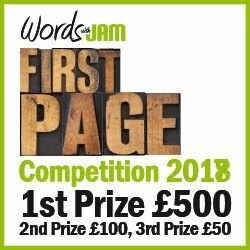 Words with JAM: Fancy Taking Part in a World Record Attempt? Fancy Taking Part in a World Record Attempt? Even if you don’t have young children to read to, you’ll probably have heard of Julia Donaldson, former Children’s Laureate and much-beloved author of The Gruffalo. Her latest book has inspired a World Record attempt and is raising money for Save the Children in the process. 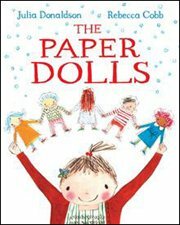 The Paper Dolls, written by Donaldson and illustrated by Rebecca Cobb, is the story a little girl and her five paper dolls who go on an adventure through the house and out into the garden. Together they escape the clutches of a toy dinosaur and the snapping jaws of an oven-glove crocodile, only to face a very real pair of scissors. Pan Macmillan are attempting to beat the current world record of 28,580 paper dolls, measuring 2.683 km, made by Tiffanie Tallman and the charity Fostering Hope in Phoenix, Arizona, on 28th October 2012. By 31st August this year, they want to create a chain 3km long. And for every doll in the chain, 10p will be donated to Save the Children. To ensure all the dolls in the chain fit together, Rebecca Cobb and Pan Macmillan have created two templates: one for younger children with the dolls drawn on, that just needs to be cut out and coloured in, and one for older children with a single outline that can be copied across a folded sheet. Local bookshops and libraries are organising Paper Doll events all over Britain this summer. 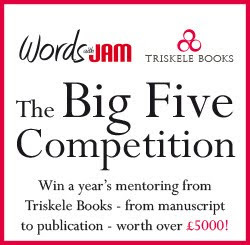 You can also take part at the Latitude Festival (19th -21st July) and the Edinburgh International Book Festival (10th – 26th August). If you’d like to join in, you can find an event near you. Or you can download one of the templates and post or email the dolls back to Pan Macmillan. Or if your local library or bookshop is not already taking part, why not persuade them to take up the challenge as part of their Summer Reading activities?